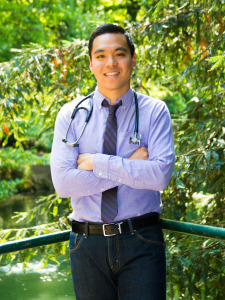 Dr. David Chang is a board-licensed Naturopathic physician and acupuncturist. He completed his six-year medical training and internship at the National College of Natural Medicine, where he received extensive training in Naturopathic primary care and Classical Chinese Medicine. His passion for medicine stemmed from his experience volunteering at a community clinic, where he witnessed the devastation caused by lack of access to care and poor health. As an active athlete his whole life, Dr. Chang has taken a great interest in sports medicine and pain management. He knows the toll it can take on a person when their life is riddled with chronic pain and injuries. Dr. Chang wants to help people regain their quality of life and pursue an active, productive life style. Dr. Chang takes a patient centered, individualized approach to every patient’s problems. As both a naturopathic physician and acupuncturist, Dr. Chang utilizes his unique skills to combine conventional medical diagnostic techniques along with Naturopathic and Chinese energetic perspectives. He always looks to pin point the root cause of the problem and never forgets the importance of addressing body, mind, and spirit. Dr. Chang believes that patients should be well informed and take an active role in their own health care. He emphasizes education as well as involving the patient in creating a realistic treatment plan that will work for them. Dr. Chang utilizes a variety of Conventional medical, Naturopathic, and Chinese medicine treatments to accommodate every patient, including prolotherapy injections, Platelet Rich Protein (PRP) injections, Ozone therapy, Nasal Specific technique, Western and Eastern herbs, homeopathy, acupuncture, nutrition counseling, hydro therapy, specialized diets, fasts and detox.